At least one spouse must have been a resident of Iowa for at least one year prior to filing for divorce in the state. To begin the proceeding, one spouse must file a Petition for Dissolution of Marriage in the District Court located in his county of residence. The Iowa Code has a mandatory waiting period of 90 days, from the date of the initial filing, before the court can finalize the divorce. 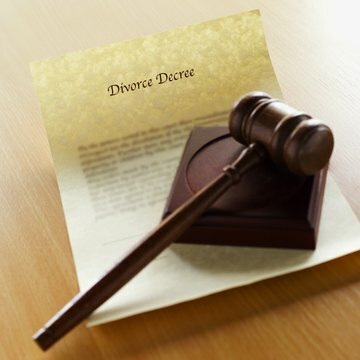 Iowa law requires that a petition for dissolution state the grounds, or reasons, for which the divorce is being sought. The state recognizes no-fault divorce, so a spouse does not need to establish that misconduct, such as adultery or abuse, occurred and led to the end of the marriage. Instead, the filing spouse must claim "irretrievable breakdown" or "irreconcilable differences." This means the marital relationship has suffered and there is no chance for reconciliation. When spouses divorce in Iowa, they are entitled to maintain ownership of their separate property. Separate property is any property owned prior to the marriage and any inheritance received during the marriage, so long as it was never commingled with marital property, for example, deposited into a joint bank account. All other marital assets are divided in accordance with Iowa's "equitable distribution" statute. This means the court will divide property fairly between the spouses, though not necessarily equally, based on such factors as the duration of the marriage, each spouse's income, each spouse's contribution to the marriage (i.e. wage earner vs. homemaker), whether either spouse is receiving alimony, whether the spouses have children, and which spouse has custody. Alimony is financial support paid by one spouse to the other, often when one spouse has significantly less assets than the other. When determining the amount and duration of alimony payments, an Iowa court will consider several factors. They include the value of property each spouse received during division of the marital assets, the requesting spouse's age, any health conditions, and the requesting spouse's ability to work and income earned. Additionally, the court will examine the custody arrangement for any children, especially if there are young children preventing the requesting spouse from working, or if the requesting spouse needs time to complete an education or training program in order to rejoin the workforce.